Thank you so much my PC friends. I have returned to this site many times for PC technical support and always find an answer. Thanks DonnaB, your advice was the answer. I restarted the PC and reinstalled the original Vista image and it worked fine. 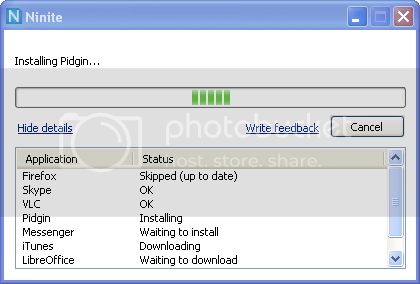 Is WinPatrol 20.0.2011 the best security, spyware, malware and anti-virus software program? Ninite fully automates installers offscreen. Easy ways to troubleshoot a computer that "Won't Start"
A computer that won't start is frustrating, but the problem is often easy to fix. The steps you take to troubleshoot the problem depend on your symptoms.